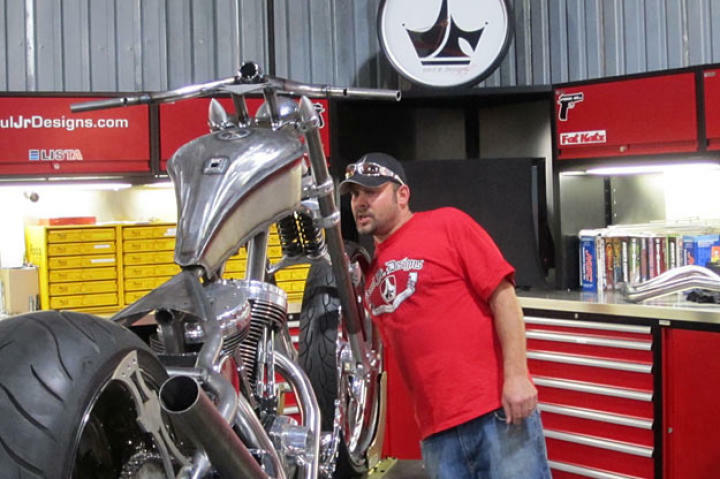 Rick Petko works on the gas tank for Orange County Choppers' Hard Rock Bike. 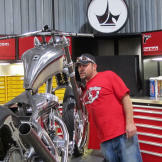 There were some issues between the design on paper and the fabrication in reality, as revealed in the Chopper Aftershow. 3 Mike Ammirati and Senior position the Hard Rock Bike's handlebars. 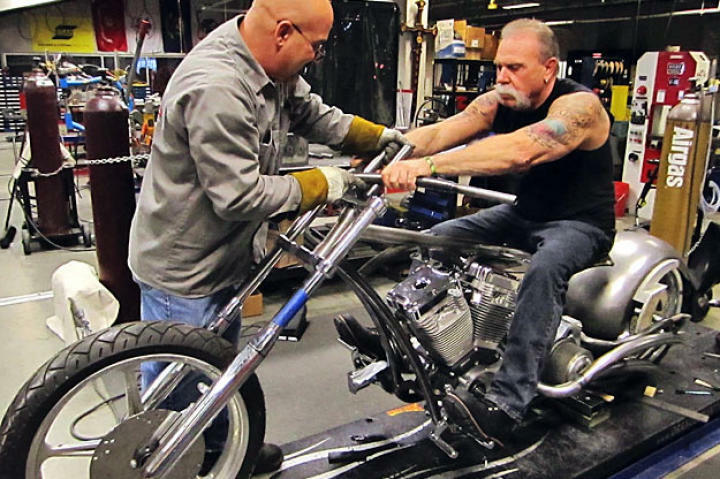 8 Rick Petko and and Mike Ammirati assemble the Power Probe Bike. 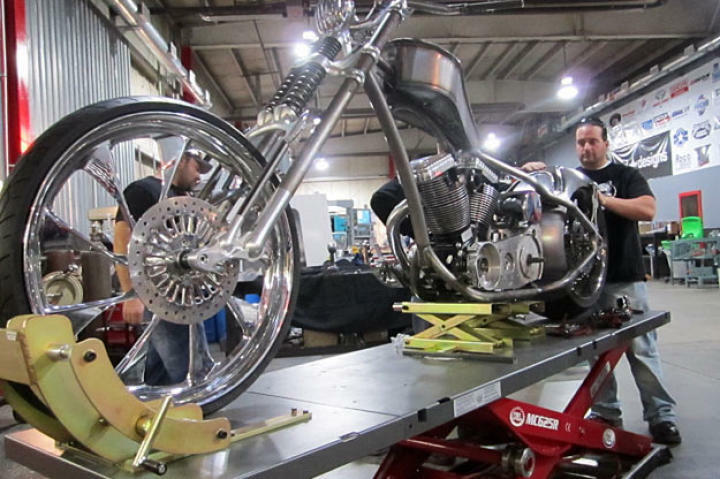 10 Behold the Feather Free Zone Bike during its build.